The Lia is another great addition to the Palazzetti range and offers a high quality stove with excellent features at a highly competitive price. It is based on the very popular Malu but instead of ventilating hot air through the top of the stove, it is directed to the front which some people prefer. It also has a cast iron top that adds to its general appeal. Price: The Lia, although slightly more expensive than the Malu, is still one of the best value wood pellet stoves on the Australian market. 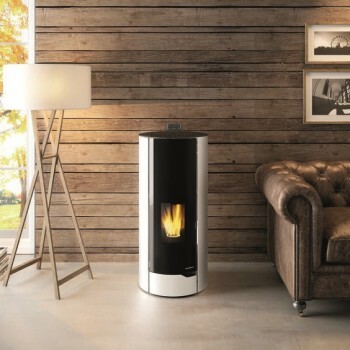 It compares favourably to other quality European stoves and indeed to many mass produced wood pellet stoves of equivalent power from other countries. When you consider savings due to its efficiency, minimal need for costly servicing and maintenance and its acclaimed Palazzetti durability, we believe that you will find both the Lia and Malu are hard to beat in real costs. Build quality: The Lia is built to last. It is fully assembled by Palazzetti , it uses the same major components and is subjected to the same quality control and standards of all of Palazzetti’s acclaimed higher level stoves. 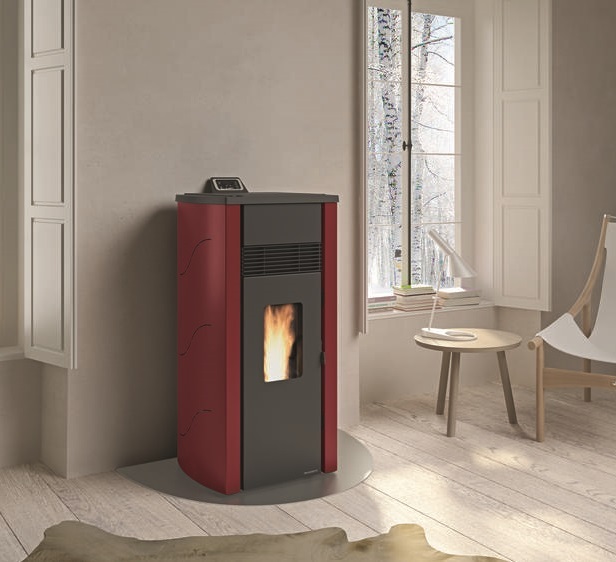 Versatility and heating range: The Lia has a heating range from 2.2 to 8.2 kw. This makes it suitable for small homes requiring only low levels of maintenance heat through to medium and reasonably large houses. 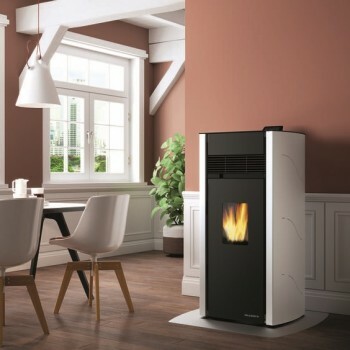 Near whisper quiet: Pellet stoves can seem a little noisy, particularly when enjoying an intimate dinner or listening to mood music. The Lia has two features to reduce noise to the barely discernible, the ability to turn off the ventilation fan, a major source of noise, and the star pellet feeder. 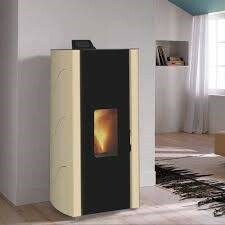 Altogether, the Lia offers a European built and styled, high quality wood pellet stove at a very competitive price.